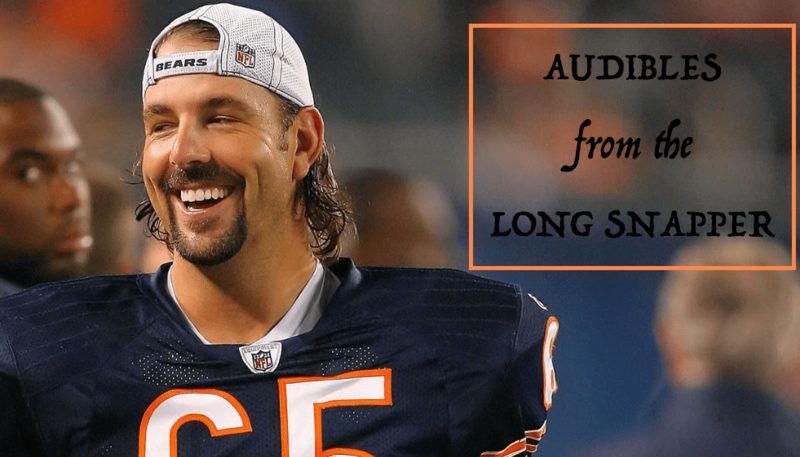 Audibles From the Long Snapper: Rare Friday Edition! No podcast this week, as travel got in the way. We’ll have the 2017 season wrap-up pod in the next week or so if I can get Jahns to answer his cell. Chicago Bears: The writing has been on the wall here for a while. The expectation is that John Fox will be gone. What’s less certain is whether or not general manager Ryan Pace gets to pick the next coach, and whether or not the coaches pursued by the Bears dictate Pace’s fate. (1) Ryan Pace is 100% picking the next head coach. (2) The NFL sends each organization a list of prospective head coaches. Those coaches don’t always know they’re on that list. What teams do is call agents and ask if their clients are interested in becoming head coaches so that once the decision to fire the head coach is officially made, interviews can be lined up immediately. This is called due diligence. Teams also call agents of college coaches to gauge if they’re interested in coming to the NFL. (3) Ownership, which Ted represents, can do this reconnaissance work while another coach is under contract. For a GM it is strictly verboten. The GM is a partner with the head coach, especially in an organizational structure where they both report to ownership. (4) If this story was “George McCaskey is making calls” nobody would have cared. But McCaskey doesn’t make calls. That’s why he pays Ted Phillips and why Phillips is incredibly well-respected in the league. (5) Do I think the Bears would want to know if Ron Rivera may become available? Of course. They want to know every good coach that is going to be available. But the apple of their eye is Stanford coach David Shaw. But the Bears do feel good about Shaheen’s development. Loggains said he’s had a solid rookie season. Most of Shaheen’s 12 catches were either contested or diving grabs (two for touchdowns). In time, the team believes that Shaheen will do more. The Bears still only have six packages for him. All of his catches also have come when he is a prototypical in-line tight end. This is truly the NFL’s off-season and I’m digging it. As you’ve seen, I’m not forcing any content on you. Whatever I find interesting, I’ll share. Once camp starts, the grind starts. The Bears rookie’s strides through May and June came in learning a lot of the basics. Through no fault of his own, Trubisky arrived with relatively little knowledge of defense in general or coverage in particular, and so he’s gotten a crash course in those areas and has made strides there. The other area of improvement came in the basics. At North Carolina, Trubisky got play calls from the sideline, didn’t take a single snap from center and never huddled. Early in OTAs, that was apparent. By the end, he was getting the hang of calling plays in the huddle and taking snaps. And he’s impressed with his accuracy and his movement skills—he doesn’t just run 4.6, he plays at 4.6, which should ease his growth once he gets on the field. I’m still not convinced Trubisky won’t be the starting quarterback in September.